Appwriter develops immersive Virtual Reality solutions for all industries including advertising, education, real estate, retail, and healthcare. 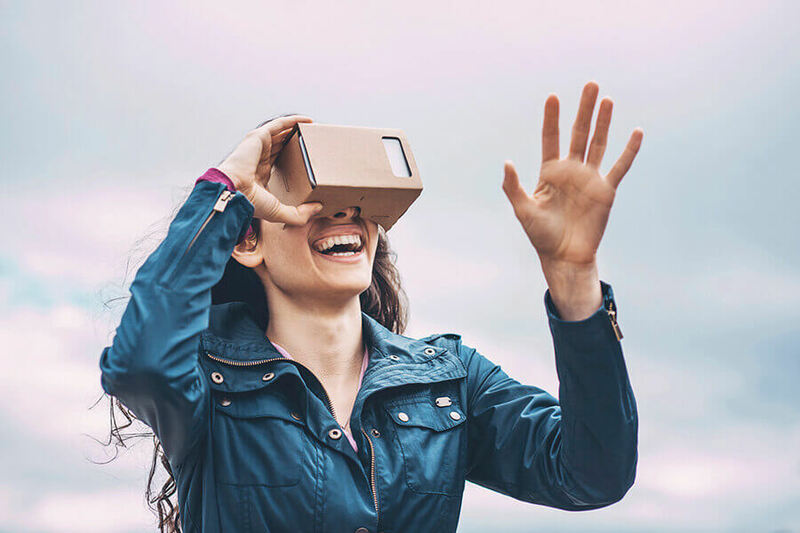 Amaze and engage more customers with Virtual Reality. We are entering a new era where the impossible is possible through virtual reality, stay connected with Appwriter as the gap closes between reality and virtual reality. Virtual Reality which is now being used across all industries from supporting Medical treatments like chemotherapy, Training courses, to Real Estate Virtual tours of properties not yet built! Get in touch today to see a demo and learn about virtual reality and the benefits for your business and your customers. Create engaging mobile Apps that allow Customers, Showroom Members and your Interior Designers to experience your products in their home virtually. Increase customer engagement at the point of sale with the use of a clever augmented reality app. Allow customer the flexibility to quickly, simply and at no cost browse products virtually in their own home then click through to your eCommerce store. Available in 2D and 3D for Android and IOS devices, get a presence on the Appstore today! Feeling left behind and not sure what Virtual Reality means to your business. We provide professional services based on our experience in creating successful Virtual Reality campaigns across many industries. Appwriter teams Virtual Reality, Augmented Reality and 360 degree knowledge will allow you to maximise return on investment whilst still creating the awesome customer impact you need! Virtual Reality can be time consuming and therefore expensive. But don’t think you have to have a full animation create in CGI (computer generated imagery). With the advent of 360 degree cameras like the Samsung Gear 360 you can take live pictures and images then view them using VR headsets. This solution is fast, low cost and very effective in providing immersive experiences for your clients, we have the editing software, hardware and expertise to create your first amazing 360 degree campaign. Where can I sell my VR App ? If you want to get your VR app noticed you will need to be on the Oculus Store. The Oculus Store is the home of all VR Apps. As registered Oculus Store Developers we can develop, prepare and package your VR App to stand out from the rest. The Oculus Store is growing exponentially partly due to the help from Mark Zuckerberg’s investment and alignment to the world of Virtual Reality. We will help you share your Virtual Reality App on a global stage as Certified Oculus Developers. As a SEAP we can leverage high quality SDK’s making your development project quicker whilst also reducing costs. Leverage the SEAP database of collateral, marketing materials, logos and more we can help you build, distribute and monetize your business solutions by being SEAP Silver Partners. Whether you’re developing a solution for your internal company use, or looking to sell to other businesses – our proven tools and technologies can help you create better B2B apps and boost your sales. Searching for Virtual Reality App Developers ?